Narraguinnep Reservoir. Photo credit Andreas Hitzig. View to southwest, looking down on Groundhog Reservoir. Photo via dcasler.com. There will be no carryover going into next year’s water season. About one year ago, I was backcountry skiing into some of the highest elevations of the Dolores River watershed near Lizard Head Pass. I was appreciating the above-average snowpack that Mother Nature blessed the basin with, which covered the always-spectacular beauty of the San Juan Mountains. Over the course of 2017, I got to visit and revisit that snowpack as it melted and flowed down the upper portions of the Dolores watershed, filled McPhee Reservoir (where it would serve important municipal, industrial, agricultural, and Tribal uses), and provided enough water for a rare and large managed release from McPhee Reservoir into the lower Dolores River. Because the Dolores River watershed has experienced so few recent years of abundant water, the abundant 2017 water year provided cause for local and regional celebration. Local farmers had full supplies of water from the Dolores Project to support their agricultural operations, recreational users of the Dolores River below McPhee Dam enjoyed a whitewater boating season of 63 days, and the entire ecology of the Dolores River benefitted from the longest and highest flows experienced in a decade. Yet, now, in January 2018, I’m watching one of the driest and warmest early winters in recent history, reflecting on local water work in 2017. The bigger and more interesting story in the Dolores River watershed is not one about the snowpack or water supplies, but is instead one about collaborative water and resource management work in the watershed. 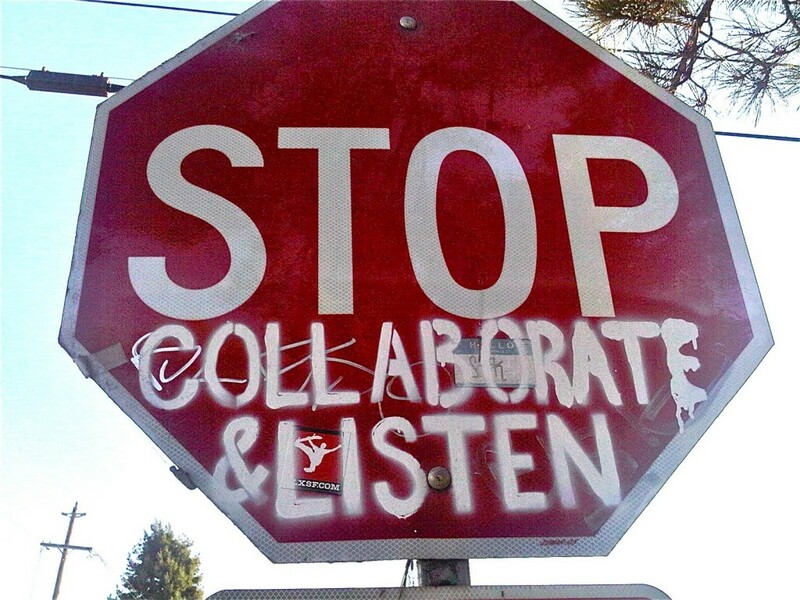 Collaborative work can take a significant amount of time and resources from already-taxed governmental agencies and non-profit groups. Collaborative work around water and watershed management requires a delicate balance of a proper respect for important private property interests in the use and delivery of critical water supplies, and the ability to find creative solutions and projects to protect the wider public and resource management interests, as well as private industry, that rely on the same river and watershed. On the Dolores River, water managers; federal, state, local, and Tribal governmental agencies; non- profit groups; local industry; private citizens; and others are working throughout the watershed to address important and often difficult water and natural resource management challenges. Two major collaborative efforts on the Dolores River saw significant growth and success in 2017, and it is worth celebrating now and continuing to watch and support in 2018. In 2015, Firewise of Southwest Colorado and the Dolores Water Conservancy District launched a new effort to form a collaborative network in the Dolores River watershed to address community wildlife and post-fire risks at a watershed scale. This new collaborative effort recognizes that droughts, beetle infestation, and a perennially longer fire season are all setting the stage for a broad-scale natural disaster in the forested upper Dolores River watershed. The potential for such a natural disaster puts at risk community lives, property, and public and natural resources (including the water in McPhee Reservoir that supports cities, farms and ranches, industry, and rural areas in the Montezuma Valley). Momentum for establishing and growing capacity in the Dolores Watershed Resilient Forest Collaborative (known by the charming acronym of the “DWRF Collaborative”) has been tremendous over the last two and a half years. By the end of 2017, over 40 different public and private entities were participating at some level in the collaborative. Some example partners include: the Dolores Water Conservancy District, Montezuma and Dolores counties, the towns of Dolores and Dove Creek and the City of Cortez, the Ute Mountain Ute Tribe, San Juan National Forest, Colorado State Forest Service, Tres Rios BLM, representatives of the local timber industry (including Aspen Wall Wood, Findley Logging, Montrose Forest Products, and Stonertop Lumber), conservation organizations (including Mountain Studies Institute, San Juan Citizens Alliance, The Nature Conservancy, and Trout Unlimited), and private citizens. The group has already undertaken an impressive mix of “on the ground” forestry and fire- adaptive treatment projects, planning work, and engaging on key issues in the upper Dolores watershed. In 2016 and 2017, the DWRF Collaborative implemented forestry and fire- adaptive treatment projects near Joe Moore Reservoir (Lost Canyon tributary) and on Granath Mesa, which sits directly above McPhee Reservoir and the Town of Dolores. The DWRF Collaborative has allowed the San Juan National Forest to establish Good Neighbor Authority projects with the Colorado State Forest Service (bringing additional capacity and resources to accomplish cross boundary projects on private lands and adjacent national forest lands). The DWRF collaborative has also completed modeling of wildfire risk and post-fire flooding and erosion risk that will inform a Watershed Wildfire Protection Plan with a better understanding of how wildfires are likely to affect key community values (such as public safety, structures, infrastructure, and water resources) and how to target future treatment projects. Finally, the DWRF collaborative has launched into key local issues in the Dolores River watershed through professional background presentations to the stakeholders and working groups. These efforts include engagement and support of the local timber industry to explore opportunities that will make forest restoration for watershed protection more cost effective. An emerging bark beetle epidemic in the Dolores River watershed is another key issue that the collaborative is developing local strategies for, such as an identification and management workshop series to launch in 2018. Water managers and diverse groups of stakeholders have been engaged in collaborative work on the Dolores River below McPhee Dam for more than a decade. For example, the Dolores River Restoration Partnership (a public-private partnership) has been working hard and successfully since 2009 to restore the riparian corridor of the Dolores River below McPhee Dam. They have worked to control invasive plant species and restore riparian vegetation. Since the Dolores River Dialogue (DRD) re-initiated discussions about the Dolores River downstream ecology in 2004, water managers and a large and diverse group of stakeholders have been working to address some of the toughest land, resource, and water management challenges facing McPhee Reservoir and the Dolores River below McPhee Dam. 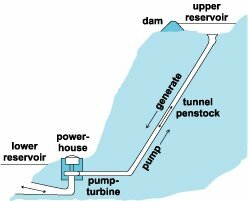 Because the 2014 Plan was finalized in the middle of a tough span of especially dry years on the Dolores River, the M&R Team was not able to use the 2014 Plan to help guide the management of any significant releases of surplus water from McPhee Dam for ecological and other purposes for several years. However, in 2017, the combination of an above-average snowpack in the San Juan Mountains in the Dolores River basin and good carry-over storage from 2016 in McPhee Reservoir provided water managers and the M&R Team with the opportunity to shape the largest managed release of surplus water from McPhee Dam in more than a decade. Armed with the 2014 Plan (and a diverse team that includes the Dolores Water Conservancy District, Montezuma Valley Irrigation Company, the Bureau of Reclamation, the Tres Rios Field Office, Bureau of Land Management, San Juan National Forest, Ute Mountain Ute Tribe, Colorado Parks & Wildlife, Dolores, Montezuma, San Miguel, and Montrose counties, American Whitewater, The Nature Conservancy, Trout Unlimited, and San Juan Citizens Alliance) the M&R Team was able to help water managers begin to make decisions about how to plan for the large managed release as early as February of 2017. 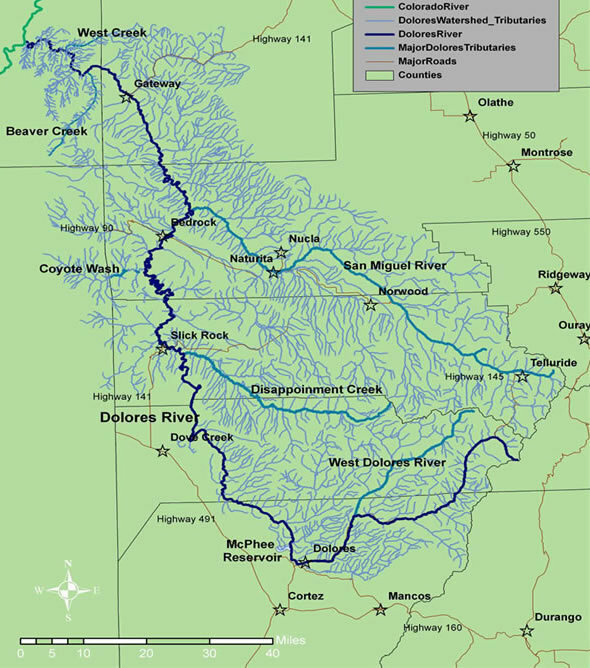 Sample hydrographs and ecological targets developed in the 2014 Plan were adapted for use with the specific forecasting for the Dolores River Basin’s 2017 water year to help shape a release plan that included a “peak flow” release of 4,000 cfs to support fish habitat maintenance on the Dolores River. Recreational and conservation interests from the M&R Team (American Whitewater and The Nature Conservancy), Colorado Parks & Wildlife, the Bureau of Land Management, and the Dolores River Boating Advocates all worked closely with the Dolores Water Conservancy District and the Bureau of Reclamation to assist the water managers with necessary adjustments to the release plan as the water managers addressed a wildly-fluctuating forecast and runoff pattern on the Dolores River in the spring of 2017. In addition, flow hypotheses and measurable benchmarks from the 2014 Plan allowed members of the M&R Team to set up and deploy field monitoring along the Dolores River below McPhee Dam. Armed with years of scientific research and the 2014 Plan, Colorado Parks & Wildlife and The Nature Conservancy were able to develop an ecological monitoring plan and pull together a collaborative group of researchers to set up monitoring sites on the river within a few weeks of the first M&R Team meeting and notification from the Bureau of Reclamation about the potential magnitude of the 2017 managed release. 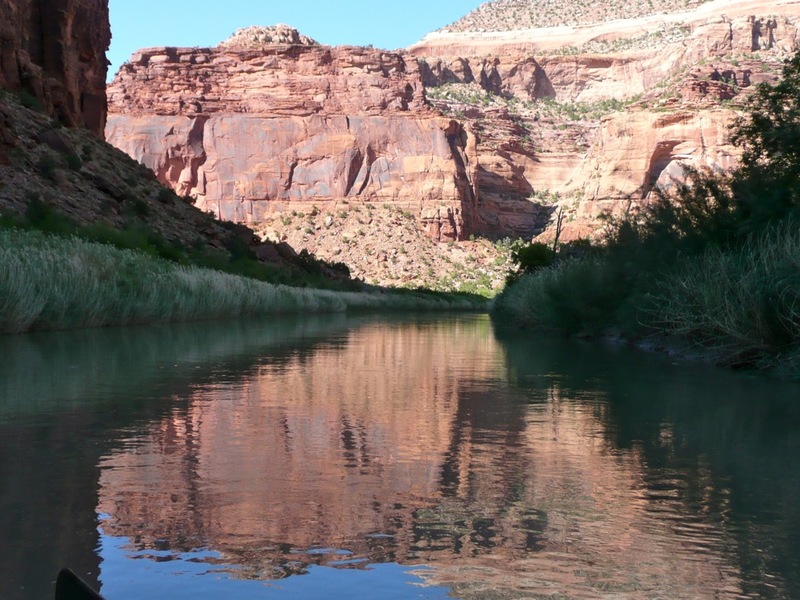 American Whitewater and the Dolores River Boating Advocates launched a boater survey to evaluate recreational use of the Dolores River below McPhee Dam. Colorado Parks & Wildlife also deployed several fish monitoring crews on the Dolores River during the managed release, including undertaking a challenging fish survey in the remote Slickrock Canyon (which had last been surveyed in 2007) that provided important information on the status of the sensitive, native warm-water fisheries in that stretch of the river. The collaborative research team is continuing to work on analyzing the results of this monitoring work over the winter of 2017-2018 to provide information to the M&R Team and water managers that may help inform future releases and other management efforts on the Dolores River. “In 2017 we finally had the snowpack we needed to conduct and monitor a large managed release. In addition to the snowpack, mother nature also provided March warming driving early release, declining forecasts and wide temperature swings. The fact that all ecological and water supply goals were met is due to the flexibility of the researchers working closely with reservoir managers. We shared in the responsibility for keeping all constituencies informed. Providing large and extended ecological releases with the assurance that all water obligations would be met and McPhee reservoir filled could only happen with this level of cooperation. 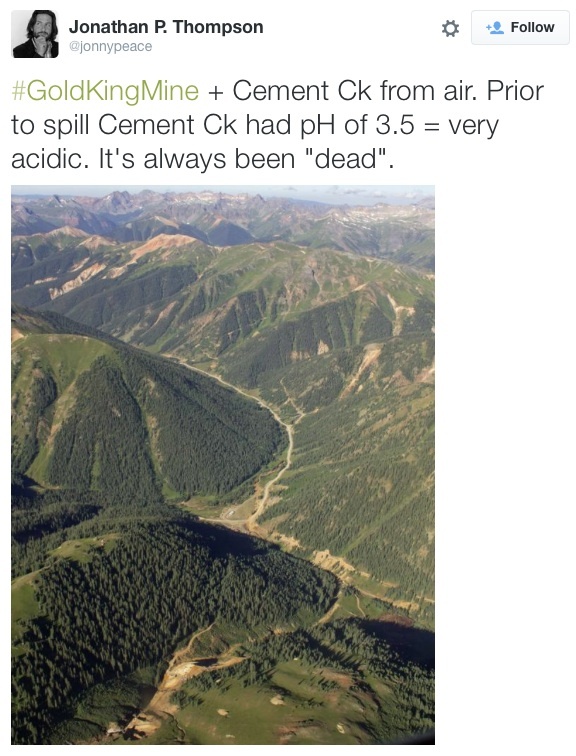 Having this level of information and communication in managing and assessing a multiple- objective release was a water manager’s dream.” — Mike Preston, General Manager, Dolores Water Conservancy District. The grim SNOTEL report for southwestern Colorado (sitting at 36 percent of average and just 21 percent of what we had in 2017 as of the end of January) and the current spring forecasts have many water managers and interests planning for a year of “famine” in 2018, after the relative water “feast” that occurred just a year ago in 2017. The increasing uncertainty around snowpack, water availability, and the timing of runoff that we are experiencing in southwestern Colorado, as well as other drivers of wildfire risk, will continue to be powerful motivators for collaborative work in the Dolores River watershed. I look forward to supporting these continued collaborative efforts, through feast and famine, in this iconic Colorado watershed. A coalition of local government agencies that formed to prevent an invasive mussel contamination at McPhee Reservoir can claim victory in its first year. A test in October showed no sign of the dreaded quagga or zebra mussels, which proliferate rapidly and can attach in suffocating layers to irrigation and municipal infrastructure. “With the help of the community, we have avoided contamination and protected our water source,” Ken Curtis, an engineer with the Dolores Water Conservancy District, said during a recent community meeting to gather public comment. The success is credited to stringent new rules that require all motorized and trailered boats to go through mussel inspection stations at either the House Creek or McPhee boat ramps during open hours. Mussels are carried in standing water of engines and ballasts. Restricted access changed the culture of McPhee access. McPhee Reservoir is seeing increased use this summer because of decreased opportunities for motorized boating on other Southwest Colorado reservoirs that have been closed to guard against the introduction of aquatic nuisance species, according to the San Juan National Forest. And to accommodate boaters during the July Fourth holiday, the inspection station for the House Creek boat ramp will extend its hours to 6 a.m. to 8 p.m. Friday through Tuesday, the forest said in a news release. The inspection station at the more crowded McPhee boat ramp will remain open seven days a week from 6 a.m. to 8 p.m. All other access points to McPhee Reservoir have been gated to prevent uninspected boats from entering the reservoir. 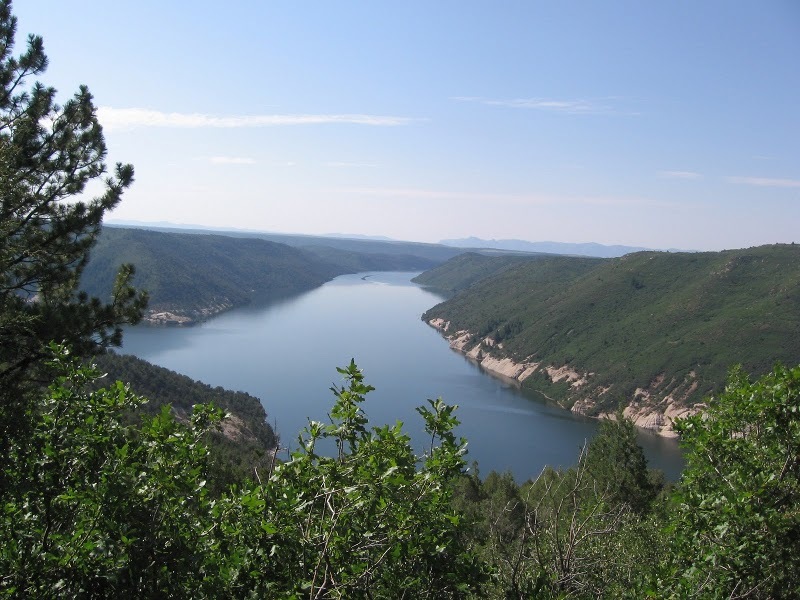 McPhee is one of a few reservoirs in Southwest Colorado with mussel inspection stations that allow for motorized boating, public affairs specialist Ann Bond said in the news release. The McPhee boat ramp has seen an 85 percent increase in inspections this summer from last year, Bond said. The Forest Service encourages boaters to prep their craft before launching to reduce time at the ramp and to follow traffic signs to ensure safety for all visitors. Boaters who park vehicles without trailers are asked to use overflow parking areas to leave the larger parking areas available for trailers. Weekday users will find less crowded conditions. Weekend users are encouraged to use the House Creek boat ramp, which is often less crowded. Inspection stations are working smoothly, with previously inspected boats carrying documentation and tags moving through the process within 10 minutes. Boats that have not been cleaned, drained and dried – and require decontamination procedures – are urged to enter inspection stations during weekdays, because the decontamination process takes more time. For more information, contact Tom Rice at 970-882-6843.